Whenever I’m stateside I always try to do a bit of sewing. It’s something I really enjoy and it also end up saving me money because I create my own things instead of buying. Last summer, when I was pregnant, I made a little baby cosleeper. 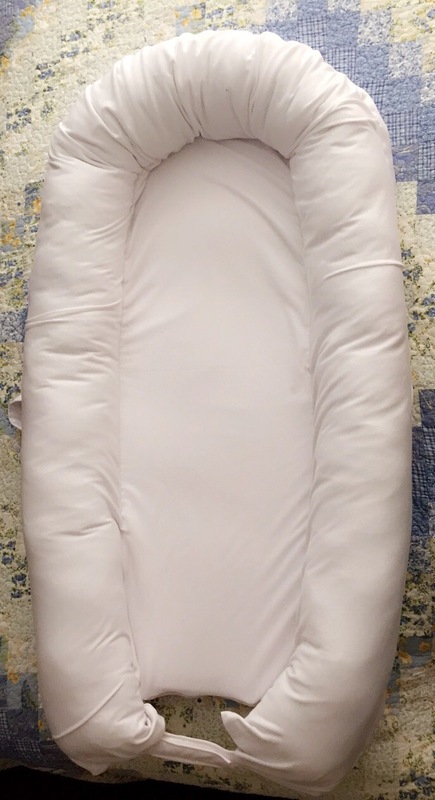 It was based on a Dockatot deluxe, but the design was a bit different as I partially followed a Pinterest tutorial. That bed was sewn as all one piece. My baby took most of her naps in that sleeper as a newborn and even as she grew. These days it is too small for her and since she has become quite wiggly in bed I thought about getting her a bigger one, like the Dockatot grand. I contemplated buying the bigger dock instead of making it, but I couldn’t let myself spend $260 on something I was pretty confident that I could make. Overall, I’m very happy with the way it turned out. This one is much better than the first one I made as it can be taken apart and washed. This one also has a much nicer foam mattress pad and a softer bumper. Not to mention, the total cost of the materials was under $50. Completed sleeper — ribbed knit cover + mattress + bumper // handle, 3 zippers & Velcro closure. 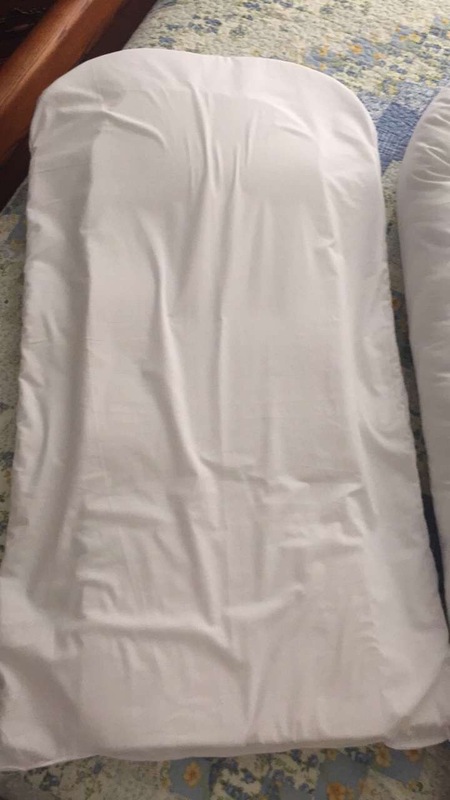 Mattress — 2 layers of foam with a cotton shell. Bumper — Cotton tube shell stuffed with cotton fill. If I get enough interest on this post I will consider writing a detailed tutorial on how I made this sleeper. Make sure to comment below if you want more info! I just noticed your post and … yes I would love a step by step for the day I can take on such things (sewing, knitting, etc.). For now, I will be honest, I cannot do it (but I so wish I could). So don’t feel obliged to write this step to step if i am the only one interested. So smart! I can’t bring myself to spending over $250 on one either! Would love to know the dimensions that you used! Great job! I’ll try to find my papers and post that info for you very soon! How did you make the bumper? 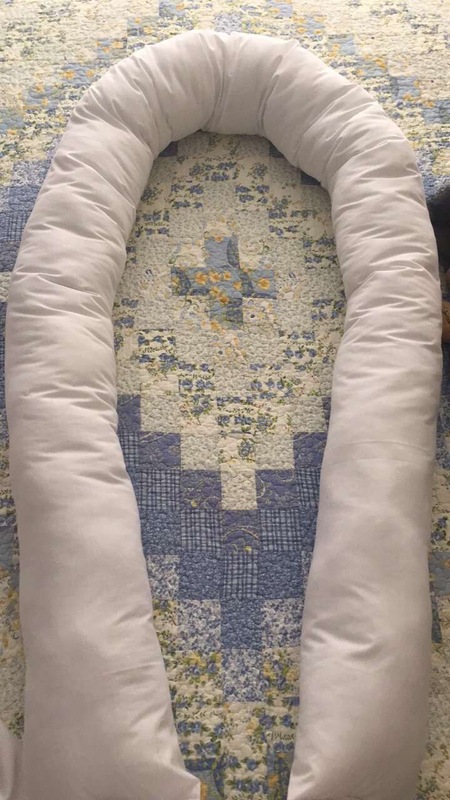 I have a dockatot grand cover and I’m trying to make the bumper and bed to insert in it. Yours looks amazing if you had a tutorial I’d definitely do it all from scratch. I’m going to try to get a tutorial up very soon. The bumper was probably the easiest part :). Super interested in a tutorial!! Do you think this is comparable to the Dockatots breathability? Looks great! I would love to be able to make one of these for my almost 2 year old! How did you do it?